Oil pulling is a simple technique anyone can do to help improve their oral hygiene. It’s a practice that’s been around for thousands of years having its origins in Ayurvedic medicine – a traditional system based in India and one of the oldest in the world. There it’s known by the name of “gundusha” or “kavala”. The idea is that you can use natural oils derived from plants to help keep your gums and teeth healthy by swirling the oils around in your mouth for a short period of time. The difference between oil pulling and other home remedies touted for their miraculous benefits is that it actually works AND has scientific research backing its benefits. These range from curing bad breath to killing off the bad bacteria and microorganisms that cause cavities, plaque, and tooth decay, to helping fight off gingivitis and even periodontal disease. We’re going to explain how it does these things plus anything else you need to know to get started. What Kind Of Oils Can You Use? Can It Help Tooth Pain? Take a tablespoon of the oil into your mouth or about the same amount as you would with any ordinary mouthwash. Traditionally the oil of choice is sesame but other popular choices are coconut oil, sunflower oil, and olive oil. We’ll talk about which one we like best further below. Swish for about 20 minutes. This may seem like a long time (and it is) but the duration is important. The longer you swirl the oil around letting it wash over your teeth and in between your gums the more it’s able to “pull” the bacteria out and cut through plaque. That said, you don’t want to keep it in for too long because you risk swallowing it and you don’t want your body reabsorbing those toxins. Start with 5 or 10 minutes and work your way up if need be. Spit the oil out – except not down the drain. Inside your mouth the oil will have become even thicker after the 20 minutes mixed with your saliva and it can actually clog your sink pipes if it solidifies and builds up over time. Instead spit it out into the trash or toilet. Afterwards it’s a good idea to rinse with warm or cold water in order to get the remaining residue out of your mouth. For an extra clean mouth try rinsing with salt water which can also help neutralize the pH level of your saliva. This makes it harder for the bacteria to grow inside. Another option, depending on when you’re doing it, is to brush or floss right after. We prefer to brush and floss first because it will help loosen up the chunks of food and plaque stuck in between your teeth making it easier for the oil to do its job. The ideal time is in the morning before you’ve eaten anything. While you’re taking a shower for example. But if you have the means or the time to do it you can even oil pull after each meal for more serious dental problems. This was recommended by Dr. Bruce Fife, one of the leading authorities on coconut oil and it’s benefits toward oral health. In skincare, there is the concept of “like dissolves like”. It’s the concept which oil pulling is based on: if two substances are similar in composition, they will break down when they they come into contact with each other. Most of the single-celled microorganisms that live inside your mouth have a fatty cellular membrane. So when the oils you’re swishing around which are mostly composed of essential fatty acids come into contact, the bacteria naturally sticks and gets dissolved into the liquid. Whatever you end up using, the most important thing is to make sure it’s edible and you’re not allergic. Oil pulling is safe but if you accidentally swallow something you shouldn’t it’s going to be a problem. For this reason we would not use something like castor oil. You should also avoid vegetable oils that are chemically processed like canola or corn oil. We prefer coconut oil thanks to high concentration of lauric acid (the richest natural source of any known food) which has proven anti-microbial properties that can help fight off the harmful bacteria in your mouth (more on that below). Lauric acid also happens to be the most potent of any type of fatty acid at doing so (or at least when compared to 30 other kinds…) so you know it’s doing the best job. Since coconut oil is a solid at room temperature you have to let it melt in your mouth a bit before getting started but we find its taste the most pleasant taste compared to the others so it’s not a problem. That said, the traditional folk remedy of sesame oil is not a bad choice either. It contains a high concentration of polyunsaturated fats and Vitamin E which can be beneficial for healing sore gums. It also contains polyphenols like sesamin and sesaminol which have antioxidant-like properties that are good for the oral tissue lining your gums and the inside of your cheeks. Overall, sunflower oil is probably the third most popular of the “big four” when it comes to the oils. Like sesame, its high in tocopherols which are organic compounds with Vitamin E activity. It doesn’t have any lauric acid like coconut oil but its still high in monounsaturated and polyunsaturated fats making it a useful enemy for cavity causing bacteria. Olive oil isn’t as popular a choice as the other oils mentioned above but it still works. If you want to try it and don’t have anything else around it’s not going to hurt. Like the others, it’s high in essential fatty acids, especially oleic acid which isn’t as good as lauric acid but can still help dissolve the bad bacteria. Whatever controversy may surround how many of the purported benefits are actually true, it’s most well agreed upon that if anything it can help with bad breath. Definitely look into it if you suffer from halitosis. In one study, researchers comparing the efficacy of sesame oil to chlorhexidine, the active ingredient in many store bought mouthwashes such as Listerine, found that it was equally effective with no significant differences between the two groups. They credited the antimicrobial and antioxidants effects of the compounds found in sesame oil for the decreased bacteria count. Another study comparing two groups of 10 adolescents found similar results: sesame oil was just as good as chlorhexidine at reducing the amounts of bacteria that cause bad breath. There are thousands of different species of bacteria residing in your mouth. Some of these are good bacteria that help break down food. Others are not so good because they help break down your teeth. One family of these bad bacteria are called Streptococcus mutans. They’re believed to be one of the main contributors of dental decay causing damage to the enamel of the tooth. The other major family of the bacteria responsible are called Lactobacillus. Over time these bacteria build up in those hard to reach areas creating a thin biofilm around the teeth slowly eating away at them until you get a cavity. In one study comparing sesame, coconut, and olive oil to a chlorhexidine gel where participants swished 10 minutes a day every day for 3 weeks they found a significant reduction in the counts of both bacteria species with the plaque scores falling in all four groups. In yet another study performed on 20 adolescent boys, they found a significant reduction of the bacteria in their saliva samples after just 48 hours of having oil pulled with sesame oil. For more about reversing cavities naturally click here to read our guide. If your gums are heavily inflamed and bleed when you floss you likely have gingivitis. If not taken care of this will eventually lead to periodontal disease threatening your teeth to fall out for good. Thankfully there are a couple studies with promising results showing it can heal gingivitis. This study performed on 60 boys and girls between the ages of 16 and 18 years old with plaque induced gingivitis found that oil pulling with coconut oil led to a significant decrease in both plaque and their symptoms of gingivitis after just 7 days, with symptoms continuing to improve during the full duration of the study which lasted 30 days. Again, they believe the lauric acid contained in the coconut oil was primarily responsible for these benefits. Less likely to be allergic. They also noted it had no disadvantages except for the longer time needed for it to work. Oil pulling on its own will not create any noticeable difference for yellow teeth. The reason being is that those oils while high in healthy fats don’t contain hydrogen or carbamide peroxide. These are the chemicals actually required for bleaching your teeth a whiter color and removing existing surface stains. But for new stains then yes they will be less likely to appear. If you’re interested on the topic we highly recommend reading up on our guide on how to whiten your teeth for more information on best practices. It might be able to aid existing pain by again, reducing the colonies of the bacteria that have damaged the tooth and caused an infection but if you’re feeling a toothache that won’t go away it would be best to get it checked by a dentist. It’s certainly worth trying every day for a week or two just to see if it subsides on its own. You might have some luck especially if you’re using extra virgin coconut oil which gives you the best shot out of all the oils. You can technically do it every day by just making it just another part of your dental routine. As long as the oils you’re using are safe, edible, and you don’t swallow it will not cause any long-term side effects or damage your teeth. Do You Have To Gargle For 20 Minutes? No, it’s not necessary to do the full 20 minutes. As we mentioned before, if your jaw gets stiff work your way up. First 10 then 15 minutes until you feel comfortable doing 20. Remember you should be gently swishing. It’s supposed to be an active but relaxing mouth rinse not an intense facial exercise. Can It Remineralize Your Teeth? Remineralization is the term for when your teeth naturally repair themselves with key minerals like calcium and phosphate. These are usually obtained from your diet or supplementation. Since the oils used for pulling are poor sources of these nutrients, on their own they won’t help reverse the damage that’s already been done but they can help prevent further damage. So in a roundabout way maybe, but it won’t be the direct cause. YES. This is not a replacement for your everyday dental routine. If anything it can replace having to use store-bought mouthwash. Remember, every study we linked to above found it was just as effective. Unless you want the whitening effects of certain mouthwashes, there’s no reason to spend money on them. One of the studies we linked to above found sesame oil to be 5 to 6 times more cost effective. Overall this is one of the easiest ways you can improve your dental health. Make it a part of your oral hygiene routine and reap the benefits because why not? You’ve got nothing to lose. 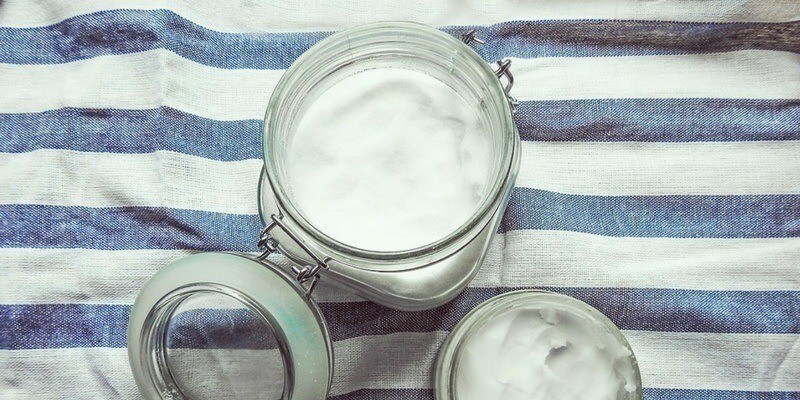 Take a tablespoon of coconut oil. Swish it around. Spit it out. Repeat every day once in the morning and again at night if you really want. That’s oil pulling for you.